Take a break from all the negativity, and spread a positive message. 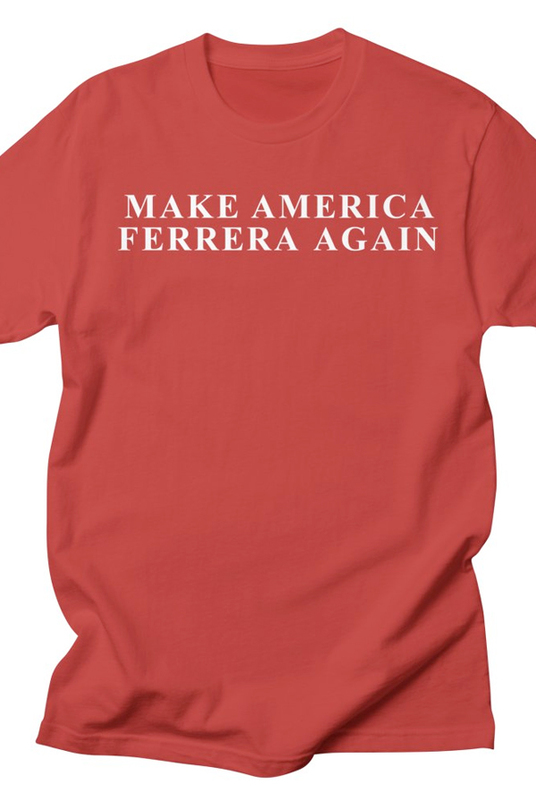 Let's Make America Ferrera Again! Tultex is a premium quality garment with a longer athletic fit. All shirts are unisex sizes.